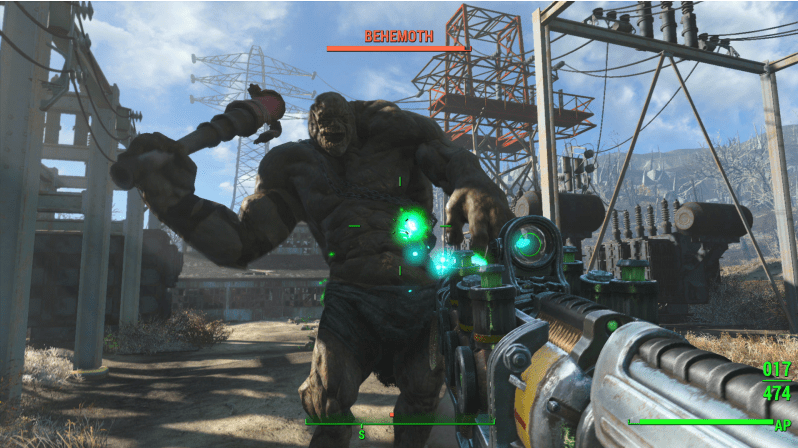 E3 2015 - Fallout 4 confirmed for 2015 release, gameplay revealed - Use a Potion! Bethesda have revealed that Fallout 4 will indeed be arriving later this year on Playstation 4, Xbox One and PC – November 10th to be precise. 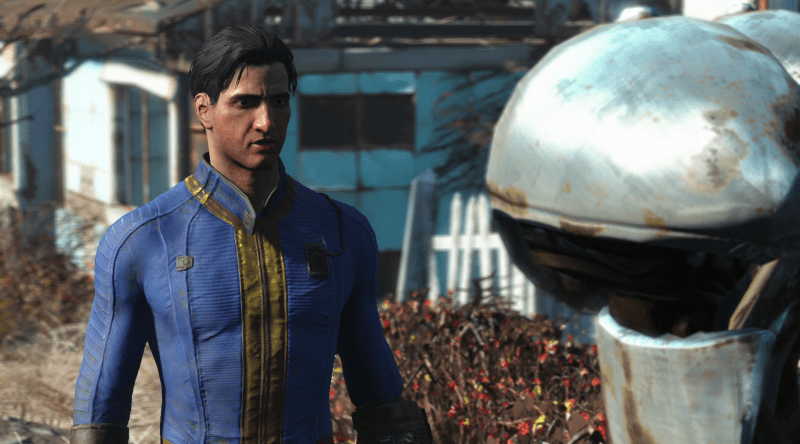 Game Director Todd Howard revealed that Fallout 4 has been in development since 2009. The gameplay trailer revealed that you have the ability to play as either a male or female, allowing you to customise exactly how you appear. The game kicks off before any of the nuclear bombs had hit the world, putting you in a vibrant, futuristic setting. It’s not long though until the devastation occurs and your character finds their way into the vault, emerging 200 years later as the sole survivor of the vault. Your main character is also fully voiced – a first for the series. You still get multiple dialogue choices though. The dog from the original trailer is shown too – the game gives you the ability to have send the dog to target markers, collect things for you or even help in battle. The graphics are simple spectacular – environments and character models look simply incredible. The game also allows you to re-create the world around you as you play, collecting materials to rebuild the devastated environment and establish your own settlements. You then have to defend these with tower defence style mechanics. It’s all completely optional, but just another awesome thing that Fallout 4 is offering the player. Crafting isn’t just with the environment though, allowing you to completely modify all weapons in the game. Some of the weapons you can create look insane and ridiculously deadly. 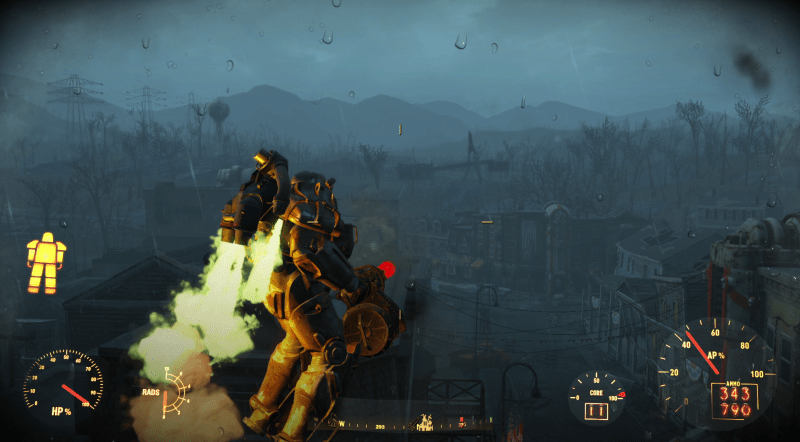 The same goes for the power armour in the game – completely modifiable. Further gameplay revealed the insane enemies and weapon options in action – the game is looking ridiculously fun. Fallout 4 is looking simply AMAZING.